Plantation Shutters for your windows in Stocksfield. Conservatory Shutters in Stocksfield for a beautiful finish and lovely design. Adjustable solar shading for conservatory. Wooden Shutters can come in a variety of sizes, prices and designs. Plantation shutters look sophisticated and will add taste to your home decor. 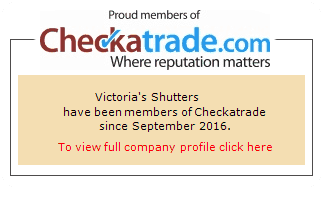 Have fun in style with Victoria’s Shutters plantation shutters. Our specialist will advise you on the best options that will look good whether you choose to have them installed in your bedroom, living room or bathroom. Our plantation shutters will make your room stay cool during hot summer and will keep the sun outside when you need to take a mid-day nap. They will also allow the sun to come in when you open slats. Adjusting plantation shutters to block or let the sun in is hassle-free so that you can relax in the privacy of your home. 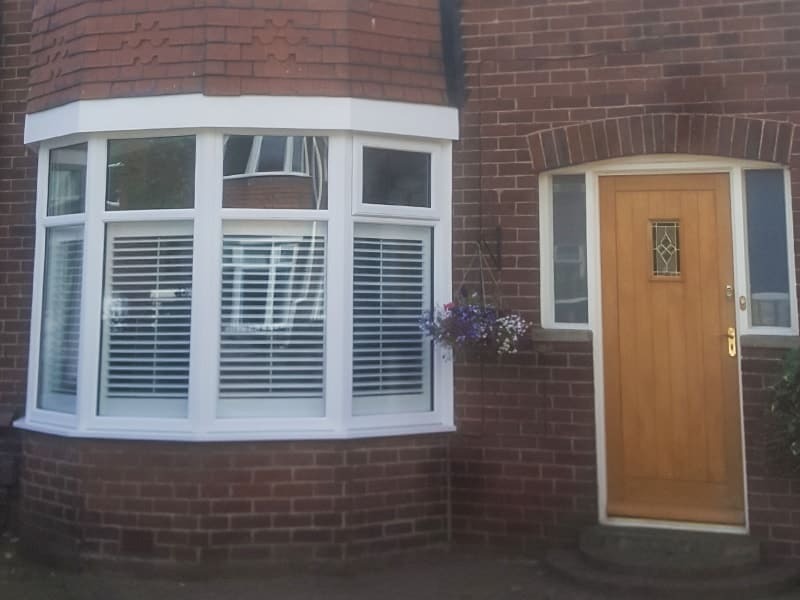 Here you can see the recent installation of white plantation shutters. 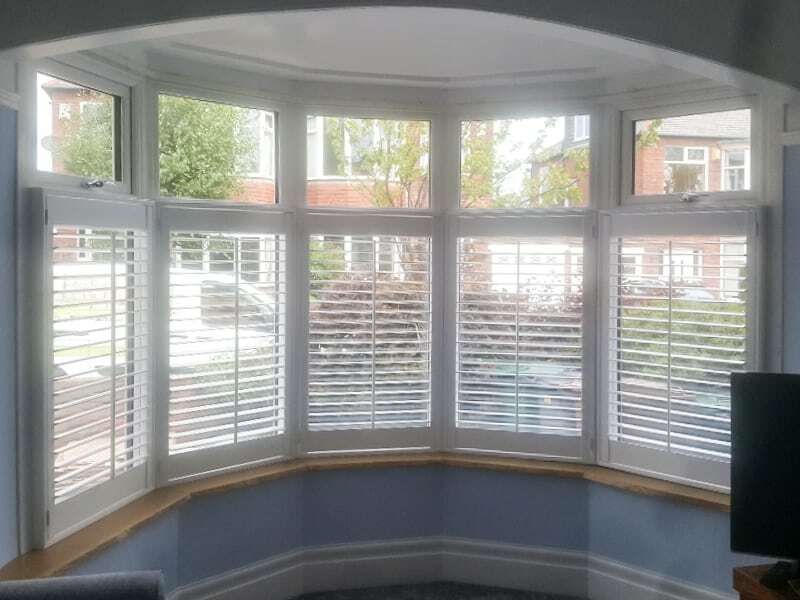 Our customer wanted to add some style to his living room and decided to choose CAFE STYLE plantation shutters. This type of shutters allows the light to enter the room through the window above but at the same time will keep prying eyes from looking into your home. If you too are looking for privacy and convenience, you should consider having these installed in your home. Perhaps you’d like to check other options? Our kitchen shutters can be fully adjusted to any window or door size. You can also decide what type of wood will be used and what colour your shutters should be. Besides ensuring more privacy, they also look great and will protect your furniture and fittings from getting exposed to the sun. 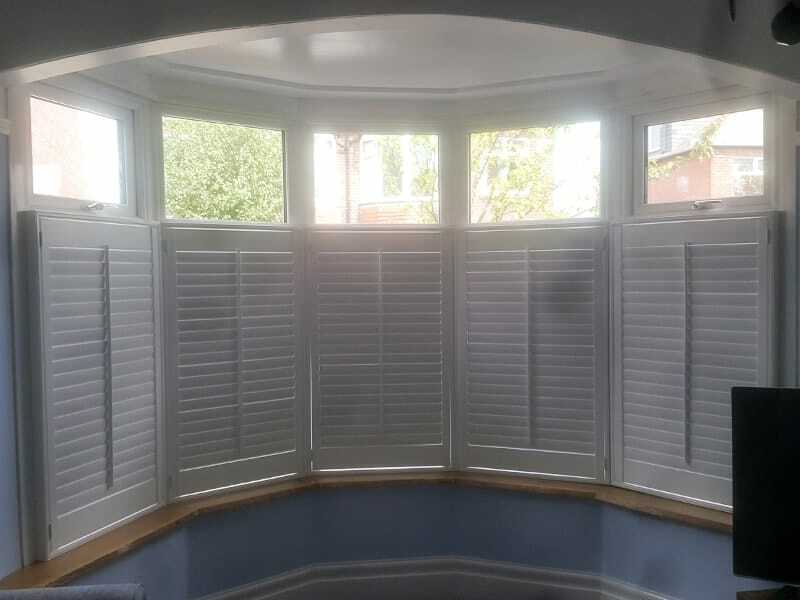 Furniture, wallpaper and wall paint subjected to too much sun can fade fast, so if you want to save time and money on refurbishing, plantation shutters are an excellent investment to prevent further spending.